[PDF] Advanced Engineering Mathematics with MATLAB, Fourth Edition (Advances in Applied Mathematics) | Free eBooks Download - EBOOKEE! 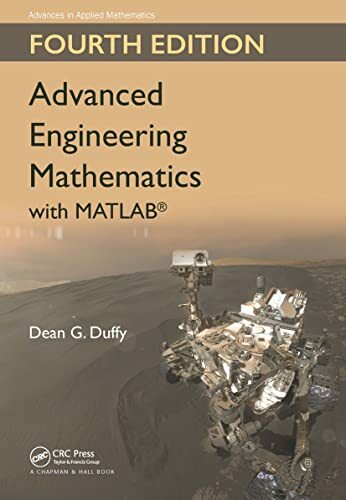 Description: Advanced Engineering Mathematics with MATLAB, Fourth Edition builds upon three successful previous editions. It is written for todayâ€™s STEM (science, technology, engineering, and mathematics) student. Three assumptions under lie its structure: (1) All students need a firm grasp of the traditional disciplines of ordinary and partial differential equations, vector calculus and linear algebra. (2) The modern student must have a strong foundation in transform methods because they provide the mathematical basis for electrical and communication studies. (3) The biological revolution requires an understanding of stochastic (random) processes. The chapter on Complex Variables, positioned as the first chapter in previous editions, is now moved to Chapter 10. The author employs MATLAB to reinforce concepts and solve problems that require heavy computation. Along with several updates and changes from the third edition, the text continues to evolve to meet the needs of todayâ€™s instructors and students. No comments for "[PDF] Advanced Engineering Mathematics with MATLAB, Fourth Edition (Advances in Applied Mathematics)".